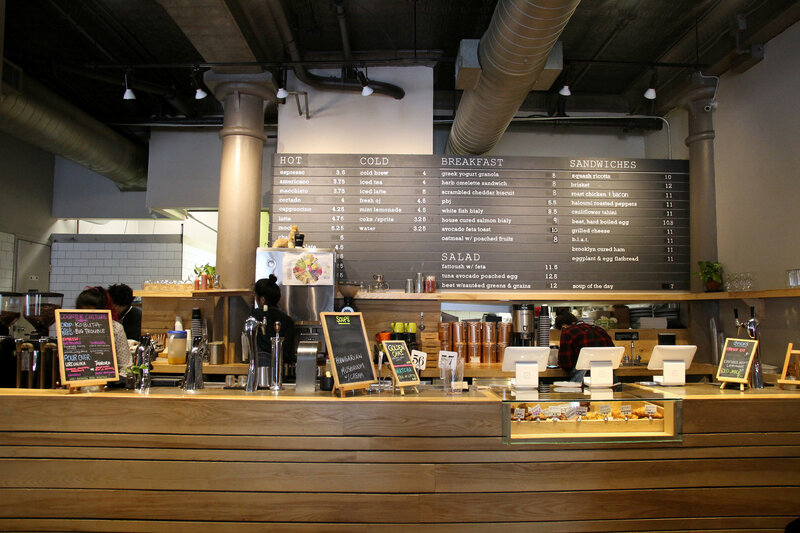 Like any predominately professional area in Manhattan, Tribeca is largely fueled by caffeine. 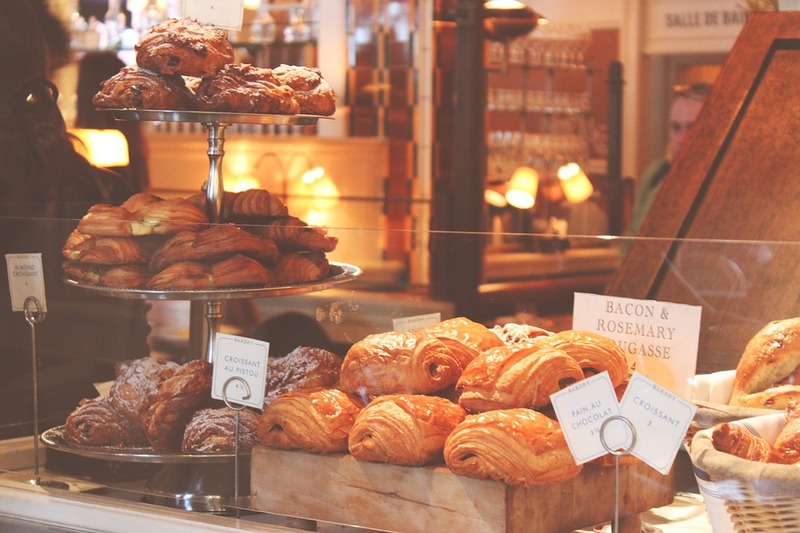 Whether you’re all about a good brew or consider coffee secondary to the snack it’s paired with, there’s a neighborhood café just right for you. Here, we’ve rounded up 10 of our favorite cafés for the next time you’re craving caffeine in Tribeca. Enjoy an authentic French déjeuner without ever leaving the city at MacarOn Café. Here, light lunch fare, such as fresh baguette sandwiches featuring Parisian ham, brie, and French mustard, are savored alongside artfully made macarons in flavors such as chocolate-passionfruit, mango, and espresso. 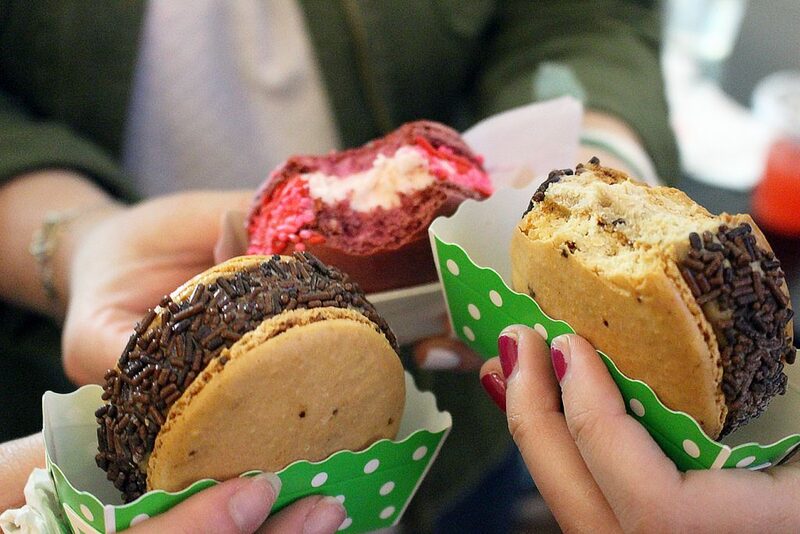 For Tribeca professionals, MacarOn Café is the best bet for making your lunch hour feel like a transatlantic getaway. Offering tasting notes such as “historic,” “beloved,” and “heartfelt,” it’s clear La Colombe knows coffee. The café’s perpetual crowds seem to agree; there are always lines of caffeine-craving locals enjoying the spot’s minimalist décor with a drinks menu to match. Looking to cool down quickly? La Colombe also stocks its canned draft lattes in varieties such as coconut milk, triple-espresso, and pure black. Equipped with a mouthwatering “cake-pole” as a nod to the café’s previous tenant, Harmony Burlesque, Baked Tribeca is not your common coffee house. Chocolate and sweet curry cookies, pumpkin whoopee pies, and chocolate Coca-Cola® cakes round out the café’s menu of off-beat offerings. Endorsed by Goop, Bon Appetít, and Oprah herself, Baked Tribeca deserves a spot on any dessert lover’s New York itinerary. With its locally sourced products and quirky décor, Galerie de Café stands out as an old-fashioned neighborhood business in an otherwise professional area. 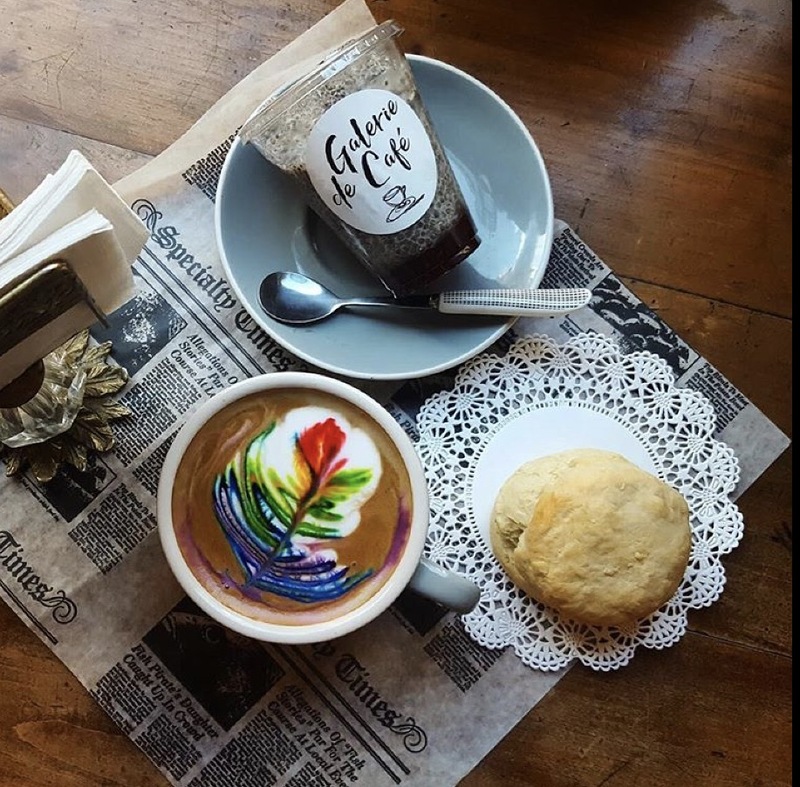 Offering everything from high-end coffee-making equipment to trendy rainbow lattes, Galerie is a place for all personalities. Curious how this unique establishment got its name? The café’s artwork comes courtesy of New York City children. Only in New York can coffee and pizza be considered an acceptable breakfast. Even the most skeptical of eaters will be converted after a trip to Grandaisy Bakery, a café serving up classic coffee beverages and authentic Italian sheet pizza. Grandaisy’s slices feature crisped-to-perfection crust and elevated toppings, such as butternut squash, rosemary potatoes, fresh Cremini mushrooms, and more. For more traditional diners, the spot offers sandwiches served on housemade bread as well as sophisticated snacks and pastries. From charmingly mismatched plateware to communal tables to generous portions of wholesome dishes, everything about Maman Tribeca gives the impression of dining in someone’s home. Specializing in “family-inspired recipes” hailing from the south of France, the spot serves soft-boiled eggs, market veggie-filled quiches, croque mamans made with truffle béchamel, and more. When the café does decide to venture from tradition, creative concoctions such as lavender hot chocolate and deconstructed avocado toast don’t disappoint. Situated in New York City’s historic Woolworth Building, The Wooly Daily is a quirky café upping the area’s “cool” factor. Vintage touches, neon lights, and retro black-and-white patterned floors provide a welcome departure from chain coffee shop environments. Enjoy your java with one of Wooly’s sophisticated snacks, such as clementine muffins and vanilla bean-rosewater madeleines, and you may just discover your new daily routine. 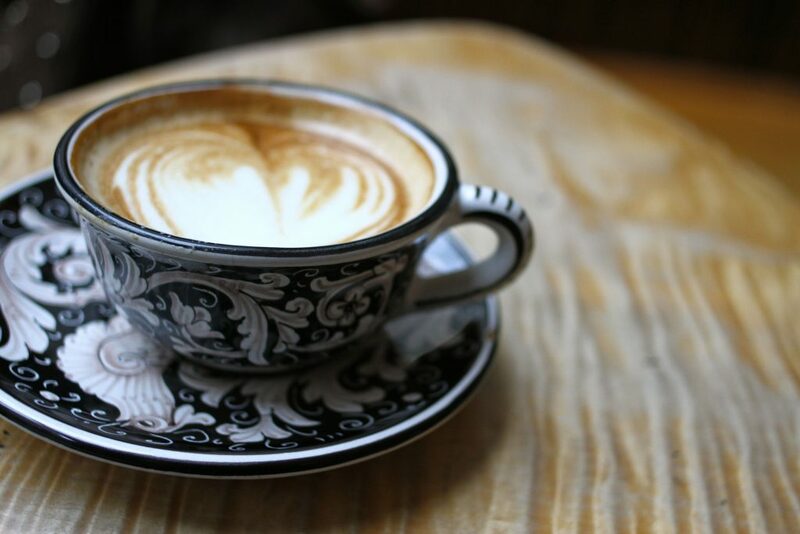 It should come as no surprise that a café honoring an “evolving coffee culture” is so well-loved by New Yorkers. At its Tribeca location (you can also visit the business in Midtown and Williamsburg), Gotan creates a café so perfect that you forget it’s even there. Settle in under the exposed brick and window-lined walls with a house-cured salmon bialy and caffeine fix courtesy of Counter Culture for the kind of meditative morning only possible at Gotan. Centered around the Scandinavian belief in enjoying “the simple things in life,” Kaffe 1668 South is a haven for coffee purists. Here, the most complicated menu items are the café’s accommodating alternative milk options, which include almond, soy, and macadamia nut varieties. Equipped with candle-topped tables and unusual-but-welcome sheep-themed décor, Kaffe 1668 South provides one of the city’s most calming coffee-drinking experiences. 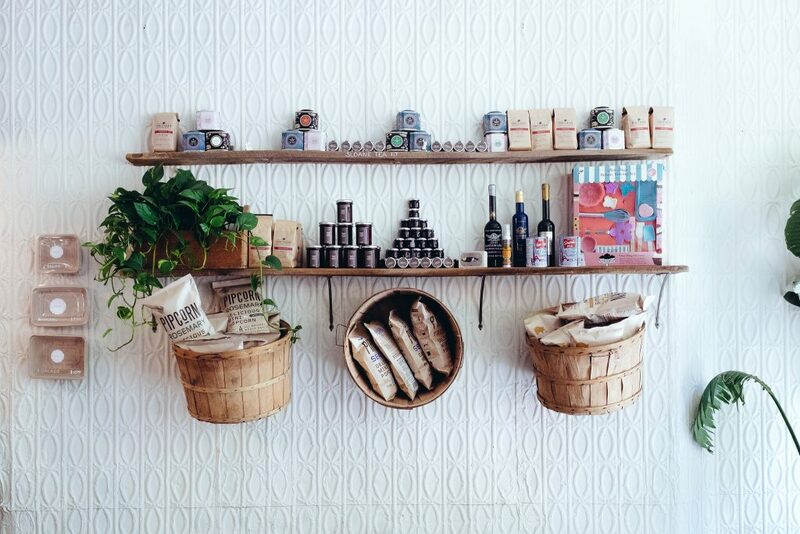 Located within an inconspicuous Tribeca office building, Arcade Bakery is a favorite destination amongst in-the-know foodies. 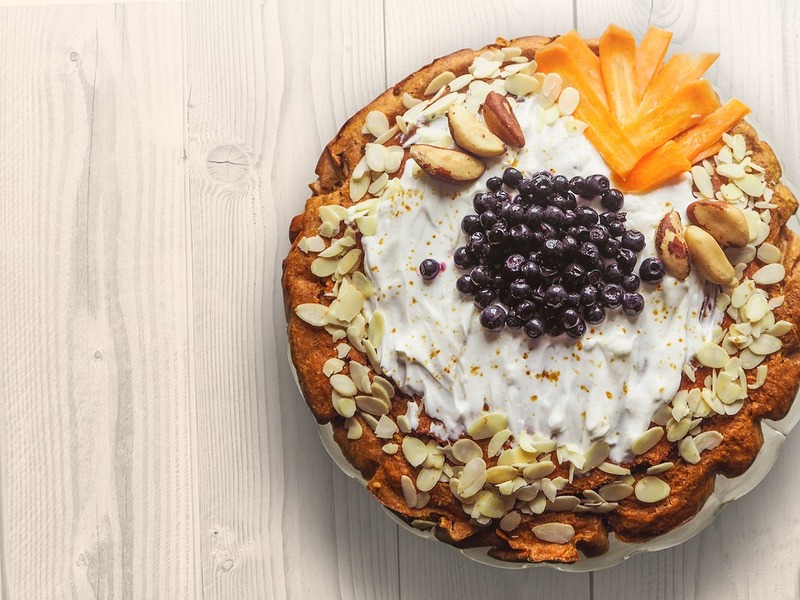 From traditional French boulangerie findings to unique options such as chocolate bread, whiskey-pecan babka, and gourmet personal pizzas, Arcade’s kitchen cooks up some of the city’s best baked goods. Also serving expertly made straightforward coffee drinks, this hidden spot proves that the best things in life are the ones you don’t expect.